Driving with a measurable controlled substance or DUI metabolite does not require impairment, only the presence of a drug in your system. Just about everyone has heard of a DUI, and almost everyone associates a DUI with drunk driving, which is technically a correct association. However, the law in Utah doesn’t just make driving under the influence of alcohol a crime but as outlined on our DUI page, driving under the influence of drugs is also a crime. Of course to be found guilty of a DUI based on drugs there must be a determination that the individual was intoxicated to the extent that they cannot safely operate a vehicle. On top of Utah’s DUI law explained above, Utah has also passed a law that criminalizes driving a vehicle with any measurable controlled substance or metabolite of a controlled substance in the person’s body, this is commonly referred to as a DUI Metabolite. 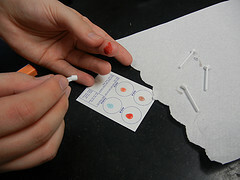 How this kind of case usually comes about is the following: an individual is pulled over for a traffic violation, for whatever reason the officer suspects them of drug use and after some questioning the individual admits to having ingested drugs recently (usually they admit to smoking weed within the last week), the officer then requests a blood draw and cites the individual with a DUI Metabolite, if the blood results come back showing a metabolite of marijuana then the individual is guilty of a DUI Metabolite. The important thing to note about this crime is that it does not require any level of impairment, meaning that the prosecutor will not need to focus on field sobriety tests or slurred speech or anything like that. The only thing the prosecutor has to show is that the individual was driving, and they had drugs in their system. The difficult part about this charge is that marijuana metabolite for example can stay in a person’s system for up to 30 days. The controlled substance was otherwise legally ingested. Due to the changing laws across the country these affirmative defenses have become particularly interesting in relation to marijuana, and this is one of the great reasons why individuals facing a DUI Metabolite charge should hire an attorney. With the help of legal counsel an individual charged with a DUI Metabolite can fight the charges by bringing up these affirmative defenses if they are applicable. If you or a loved one has been charged with a DUI Metabolite then call the lawyers at Criminal Defense Attorney Salt Lake City today. We’ll help you understand the charges you are facing and the possible outcomes that could result. Facing the criminal justice system is a very stressful and scary thing, so call us today to see how we could help you in your case. Don't ever talk to the cops...ever. It will do absolutely nothing for you. They're not your friends; they're not there to help you. They're doing a job: enforcing laws, however stupid those laws may be, by whatever means necessary. In order for law enforcement to pull you over in a car over they must have "reasonable suspicion" that you committed a crime or are about to commit a crime. "Crime" includes any traffic offense. © 2019 by Criminal Defense Attorney Salt Lake City. All rights reserved. For criminal defense services in Salt Lake City and throughout the Salt Lake Valley including Millcreek, West Valley, South Salt Lake, North Salt Lake, Magna, Holladay, Cottonwood Heights, Mount Olympus, Murray, and Kearns contact us for a free consultation. We cover all justice and district courts in the Greater Salt Lake City area.